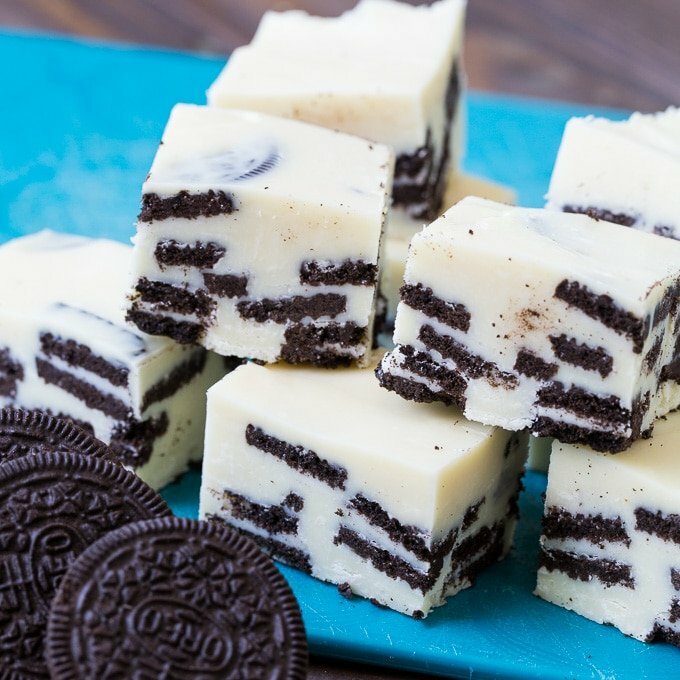 Only 4 ingredients needed for this insanely delicious Cookies and Cream Fudge. It is loaded with chopped oreo cookies for a holiday treat the kids will love! 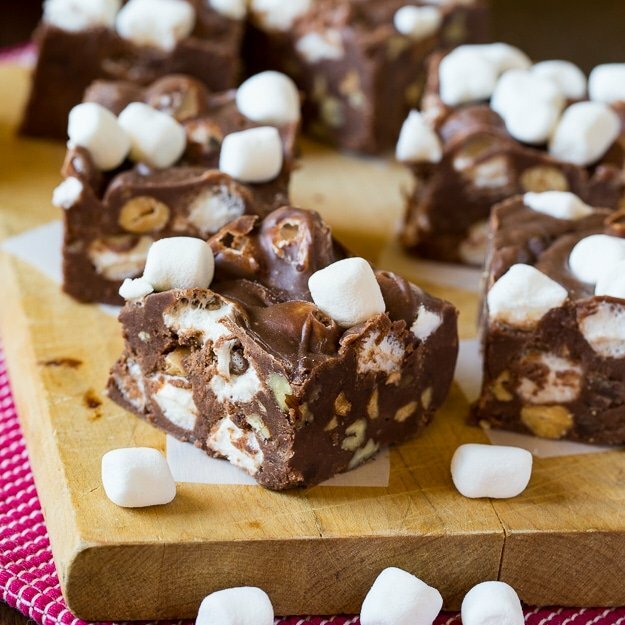 This is a really simple fudge that sets up nicely. It only takes about 5 minutes to prep which is a huge bonus for the busy holiday season. It’s great to make for a holiday party or to give to the neighbors. Tip: You want to coarsely crush the oreos (ie large pieces). I use a very sharp knife and cut each cookie in fourths. 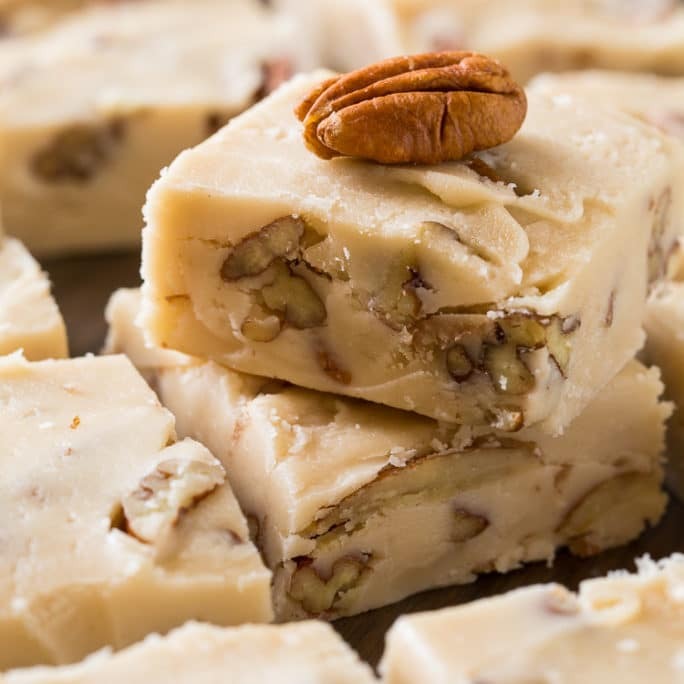 If you crush or cut them too finely, the fudge will have an unappetizing grey hue. Not good. 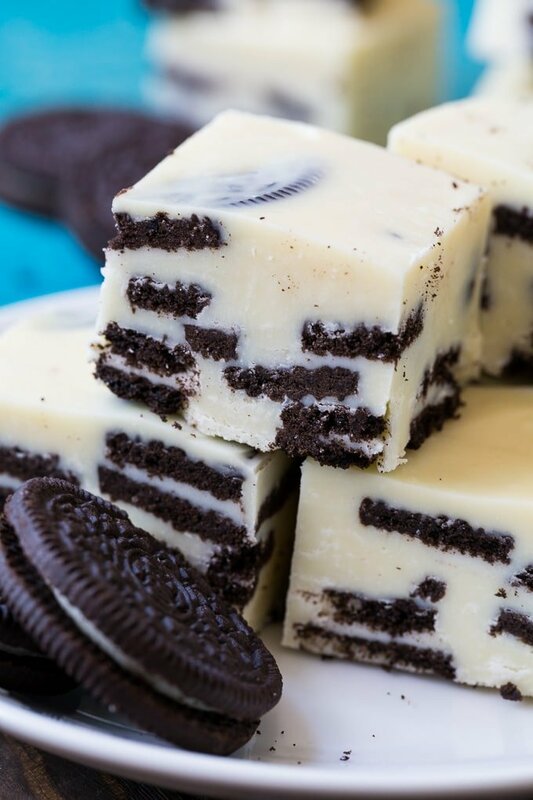 Give this Cookies and Cream Fudge a try and it is sure to become a holiday tradition. 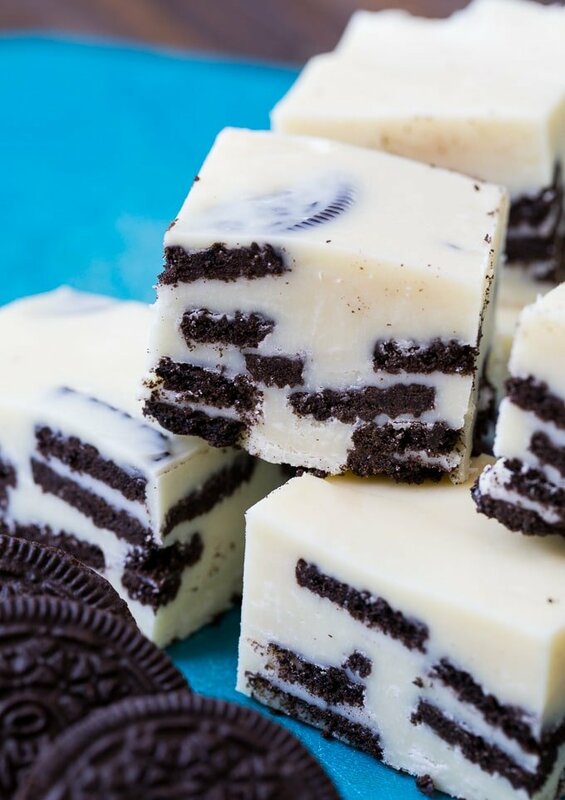 Only 4 ingredients needed for this insanely delicious Cookies and Cream Fudge. It is loaded with chopped oreo cookies and white chocolate. Place white chocolate chips, sweetened condensed milk, and salt in a medium saucepan with a heavy bottom. Set saucepan over low heat, stirring frequently until the chips are completely melted. Scatter about 1/3 of the oreo pieces on the bottom of the prepared pan. 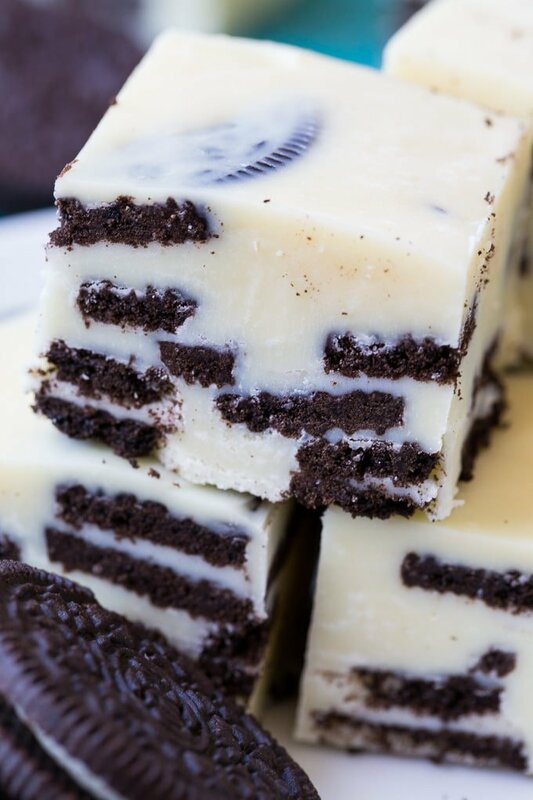 Pour about 1/3 of the white chocolate mixture over the oreo pieces. Smooth it out with a spatula, spreading it as evenly as possible. Sprinkle another third of the oreo pieces on top and pour about half the remaining chocolate mixture over them, smoothing and spreading it. Repeat with remaining oreo pieces and white chocolate mixture. Refrigerate until set. This entry was posted in Candy and tagged cookies and cream, fudge. Bookmark the permalink.